One of the keys to making your design come alive is choosing the right colors for your projects. 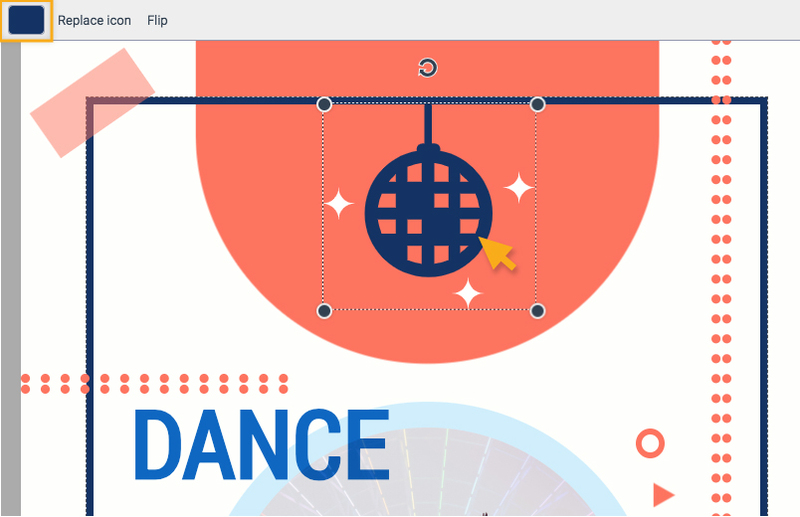 Visme allows users to change object to any colors as well as apply color presets in any of your projects. Click to Read More on how to create your own color palette. Click on any object that you would like to change colors. A color square box will then appear on the top left of the screen. In this example, the icon has two Fill Colors for you to change if needed. After selecting one of the Fill Color option. 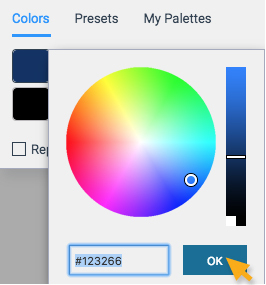 Click on the Plus icon to add/edit your color. You can also enter a hex#. When you are done, click on OK.
You can also use colors on the Presets tab. 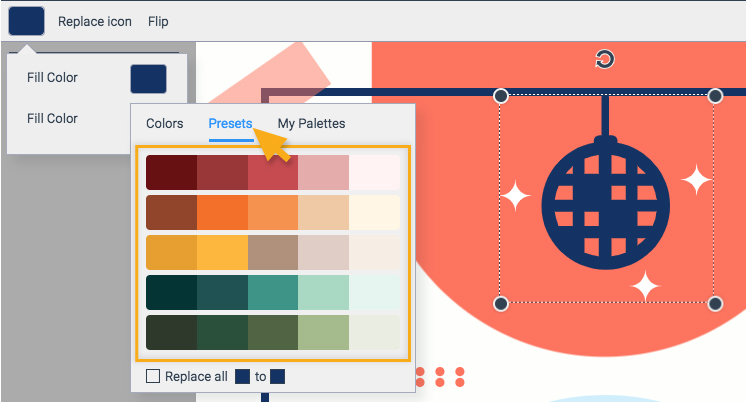 This allows you to create beautiful color scheme and save you some time and effort in your search for the ideal color combination.